Medium weight with a smooth texture. Fresh citrus and tangerine flavours are quickly apparent, it takes longer for the oak vanilla and macadamia flavours to emerge. 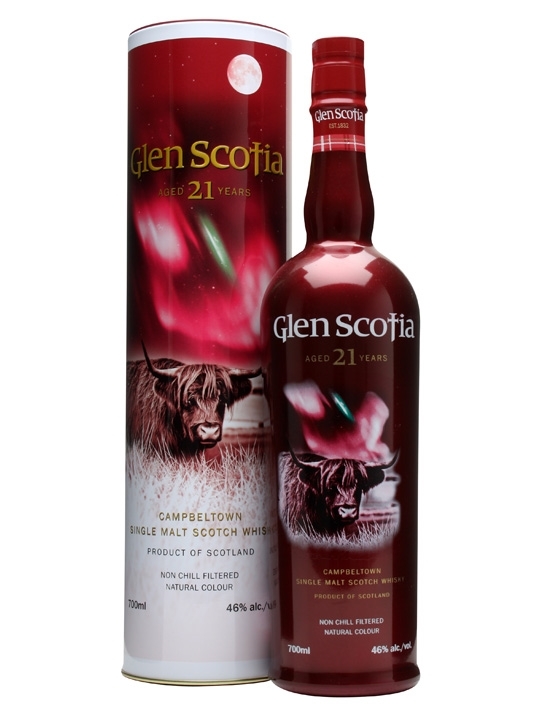 A true classic old style whisky with lychee, butterscotch, ginger and syrup flavours. Complex, suave and succulent. Smooth combination of citrus fruit, spice, honey, and pecan. One for the weekend when you have time to dissect its layers. While the 21 Years Old expression from Glen Scotia was a little different from the 18 Years Old it didn’t appeal to us as having any improvement and we enjoyed them both equally.